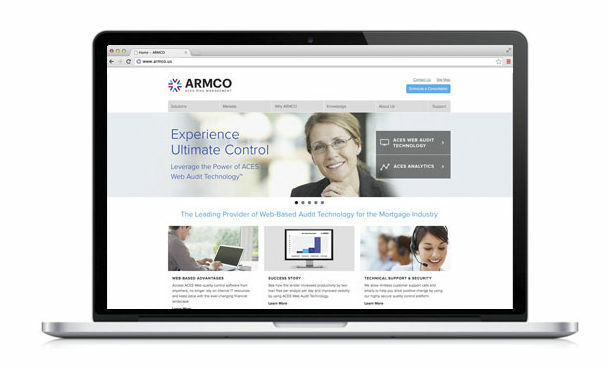 We helped ARMCO’s marketing efforts by updating their brand, website and collateral. And we did it in less than twelve weeks. Scroll down to see how we did it. It started with ARMCO’s existing brand. The logo was dated and the website needed a refresh. We met with the ARMCO team and got to know them. We learned a lot about their business, their industry, and listened to their needs. From the get-go, we heard keywords like “fresh” “clean” “easy to use” and “positioning.” We knew we had a lot of work to do and very little time to do it. Twelve weeks is a short period of time to ideate, develop, produce, test and launch a new brand, website and several pieces of collateral. 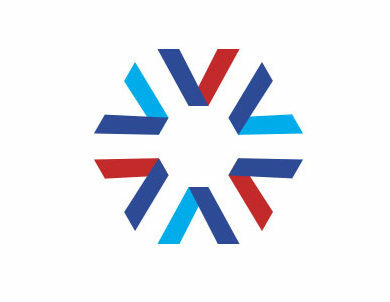 Within a couple of weeks, we had a new logo. And we showed them how we got there. Creating brand guidelines, we explained the thought process behind the new brand, the new logo, symbol, fonts used and colors. 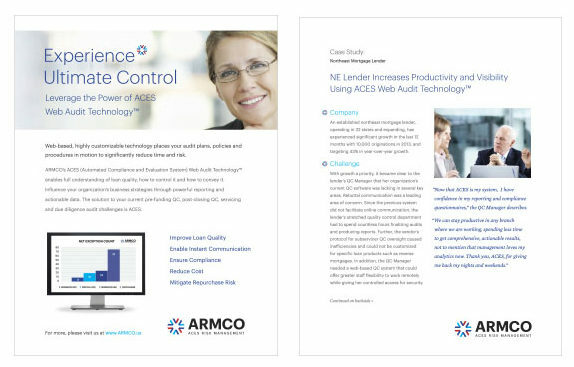 And we gave simple, easy-to-follow steps on how anyone within the enterprise could use the ARMCO brand correctly. Now it was time to start on the website. Working with a solid brand foundation, we were able to create and develop a massive website in a short period of time. 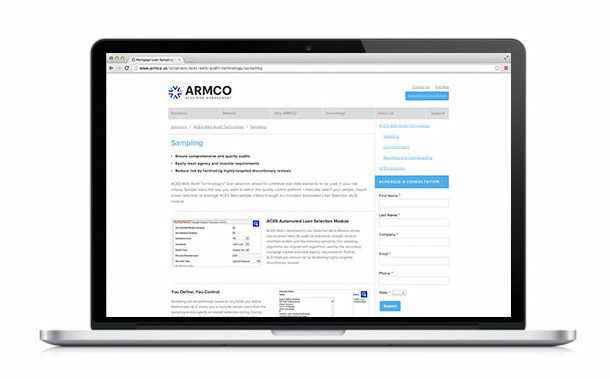 Since most of the heavy lifting was done in the branding phase, the website redesign consisted of more than twenty pages of content, downloadable PDF documents and forms that tied into ARMCO’s existing CRM software. See for yourself. In tandem with the website launch, we created several pieces of printed and digital collateral. Simple, beautifully-designed pieces that elevated the ARMCO brand. 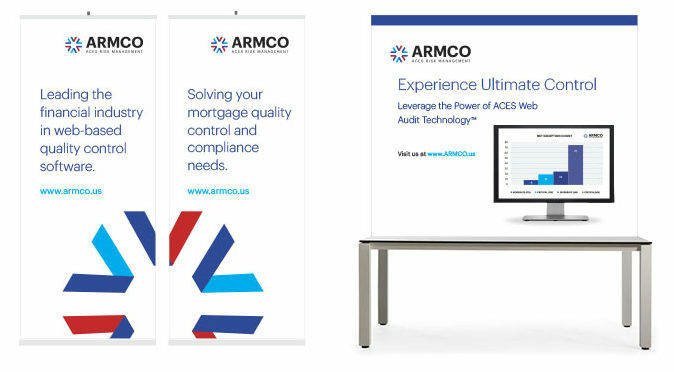 We even designed banners and a pop-up booth for ARMCO’s upcoming trade show tour. Again, the goal here was to tie everything together: PowerPoint decks, business cards, email signatures, the website, collateral, booths, banner ads and even elegant invitations for an upcoming industry mixer. The results exceeded our expectations. In the end, our client was thrilled. 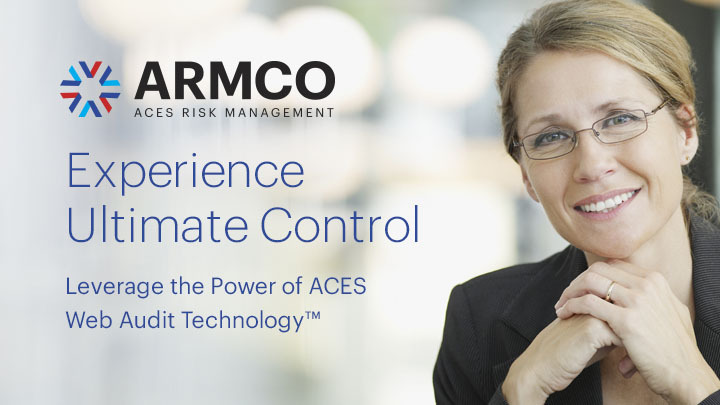 ACES Risk Management Corp [ARMCO] is the leading provider of web-based audit technology for the Mortgage Industry.